If there's one thing the Resort '19 runways showed us, it's that mini lengths are a key trend this season - and Miu Miu's skirt is such a chic way to invest in it. 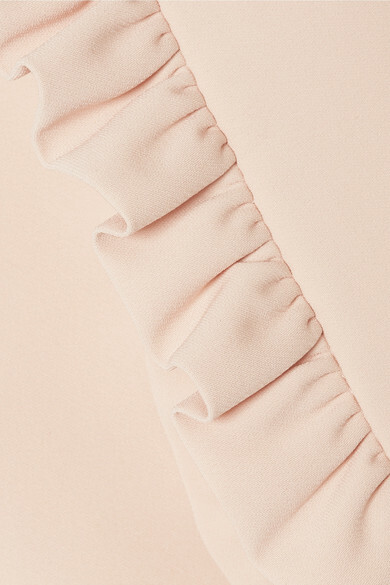 Crafted in Italy from blush cady and lined with smooth satin, it has a ruffled hem and flattering darts at the back. Wear yours with a tucked-in shirt and point-toe flats. Shown here with: Miu Miu Shirt, Fendi Bucket bag, Aquazzura Flats, Oscar de la Renta Earrings.